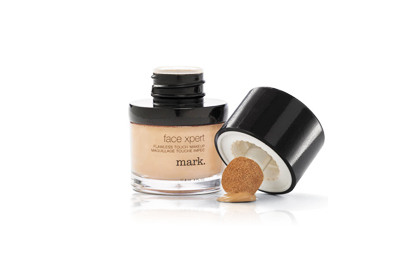 Why: One reader says, "to be honest, I threw away this foundation before I'd even used a quarter of it. It just wasn't worth it." As for the packaging, readers say it may "look cool, [but] it's incredibly bulky. The cap takes up over half of the packaging, which is a huge waste. I don't like the applicator, because using it directly on your skin potentially contaminates the liquid foundation, and could make it go bad faster than a pump applicator would, or a squeeze tube." The color selection is also subpar, making it "hard to match skin color to the swatches in the catalogue and it seems like they ran a bit dark and orange." Agree? Disagree? Write your review here. I have to disagree with Cover Girl's "Clean Makeup." It saw me through blemish-prone years beautifully and kept oil at bay and imperfections covered. While it is great to know which products are worse, there will always be different foundation preferences for each individual. Different shades, textures, applications, etc. One thing that can be agreed upon, is poor packaging, which can make or break even the "best" foundations sometimes. a lot of RImmel products there. I guess, they are not doing too well there! Good to know what not to try on my quest for the best foundation. Thank you for this article. I've been looking to revamp my makeup bag. Now I know what choices to avoid. I see so many top 10 and best lists out there. It's nice to see something focused on what not to use. Very happy mine isn't there too! Thankful for this article. I don't want to waste money on horrible products.